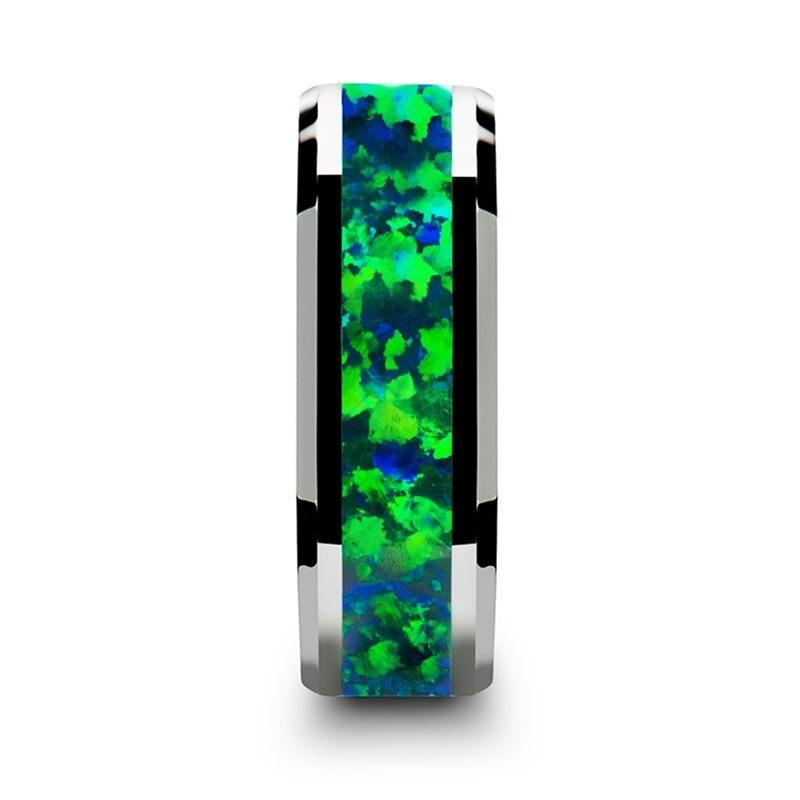 October Birthstone Ring with Green/Blue Opal. 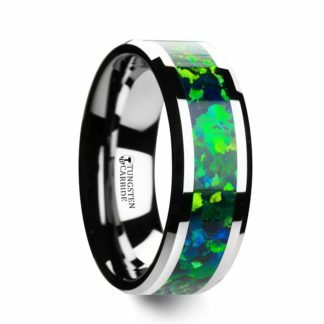 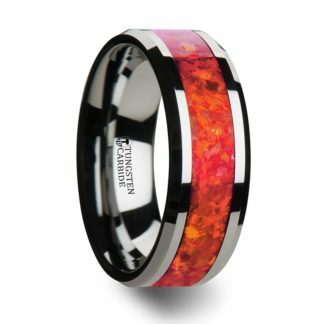 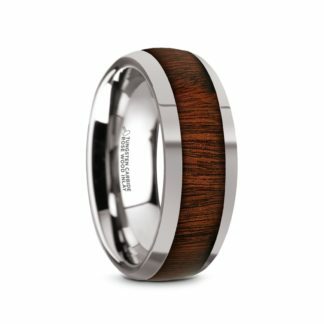 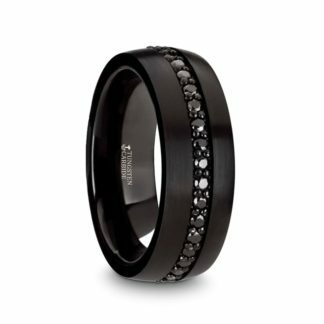 Stunning Opal Design featuring an 8 mm design in Tungsten Carbide, complete with beveled edges and comfort fit styling. 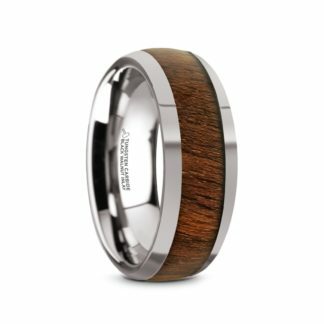 This model is also available in 6 mm width – indicate your preference in the Order Comments during Checkout if you want something other than the 8 mm width.